One of the world’s biggest credit ratings agencies says housing-related economic imbalances in New Zealand will peak this year. In its latest New Zealand banking sector outlook report, Standard and Poor's (S&P) says the risks housing presents to the economy have subsided. “The risks that the banking sector in New Zealand faces from five years of strong growth in both house price inflation, and more recently, household credit growth, have likely peaked, in our view, and we believe the basis for a partial unwinding is building,” S&P credit analyst Andrew Mayes says. He adds that in 2018, S&P sees the recent slowdown in credit growth steadying and house price inflation consolidating around current levels from recent cyclical lows in late 2017, as some headwinds of the last 18 months fade. Thereafter, Mayes says, relatively measured house price and credit growth is expected. S&P’s forecast takes into consideration Government policy, including plans to decrease migration, changes to bank capital rules and higher lending rates. Mayes says it is “entirely plausible” stronger house price inflation, on the back of lower volumes, will start to emerge. But the absence of stronger credit growth should suggest the risks remain reasonably balanced, he says. There is a “swinging factor” in the rating agency’s forecast, however – the Reserve Bank’s macro-prudential restrictions. The Reserve Bank first implemented these restrictions in 2013 in the form of loan-to-value ratio restrictions on mortgages. The central bank added more restrictions as the housing market heated up but then moved to ease them late last year. “Our expectation is that any further easing of restrictions will likely come only after a protracted period of measured growth in both credit and house prices,” Mayes says. “As such, we do not see further relaxation feeding into a resurgence in housing-related imbalances, although such a scenario remains a downside risk to our base case--and a scenario that has little in the way of precedence. S & P's view on the NZ housing market is realistic - and pretty much a mainstream view. I note Mayes comment: "it is 'entirely plausible' stronger house price inflation, on the back of lower volumes, will start to emerge". Thus, unlike some people here have been saying, the present period may well be a good time to buy. TTP, credit rating agencies couldn't foresee a debt crisis until they fell over it. S & P is one of those who failed to warn of the then approaching GFC. Just because they share your personal views, doesn't make them credible. Rating agencies were aware of the low quality of MBS; they were accessories to fraud not making ignorant errors. 'entirely plausible' a bit like your use of the word modest last week - what I would describe as a weasel word - not really saying anything but trying to sound as if you are saying something. *Reads summary of S&P release* - opinion confirmed. I say put your money where your mouth is, TTP. Go and buy property. Just my 2 cents, though...Let us not forget..
One of the key players in the subprime mortgage crisis. They managed to systematically undervalue securities risk for years in the world's most important market, essentially resulting in the GFC. If you hang on anything they say about little 'ol NZ's markets, more fool you. ""it is 'entirely plausible' stronger house price inflation, on the back of lower volumes, will start to emerge". Lower quartile prices aren't selling, and average house prices statistics may be (artificially) dragged up by movements in the higher quartiles? So, a good time to buy what? Not sure what it means by "housing-related economic imbalances". However, I've been to many open houses and agents openly acknowledge that nothing is selling at CV. They invite you to bid 10-15% below CV. I'm not sure house prices are going up at this point. of course, a lot depends on how government handles this issue. They mean that we're in serious trouble. If they were paid to be honest they'd compare our housing market to the Hindenburg. 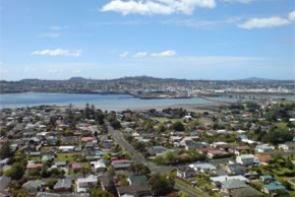 Watch the growing list of mortgagee sales in Auckland. In 2016 there was nothing, in 2017 a few, this year it's picked up again. The rate of mortgagee sales is still low but there seem to be an ever increasing number of people who can't afford to pay their mortgage (assuming they were ever able to). I wouldn't read too much into mortgagee sales, with the current interest rates people are biting off more than they can chew and are spending up large. We are getting more and more in debt and its not just in housing its everything including cars. It doesn't need much to change and you suddenly cannot pay off your monthly repayments be it from job loss or sickness.The average Kiwi is to be honest pretty reckless when it comes to spending and cannot manage money to save themselves. Things are only going to get REALLY ugly when interest rates start to climb and the defaults will grow exponentially with each 25 point increase. why would you trust S & P who said lehman brothers was grade A investment before it collapsed. Plenty of other commentators offer the same viewpoint as S & P.
Only a small minority of pundits foresee a significant "correction" in the housing market - but they are over-represented in this blog. TTP, either interest.co.nz commentator selection is flawed or it represents a random cross section of adult society and its present day sentiment. If suggestion of a "significant" correction is the prominent message then tell your friends and family, its a bad time to buy a house. The thing about a significant correction is something significant, some big event has to drive it ie without real fear, greed and desperation will win out. Otherwise it looks like so many aspects of this game are interwoven that they are self-supporting and hence will continue to defy gravity until one day, very fast they will not. The Q is then if that is what you think is how do you survive such an event. I am all ears because there isnt many places I can see to "hide"
The big event you speak of is the sudden stoppage of foreign investors, specifically the Chinese, from further fuelling the increase in house prices. The stoppage is coming from both the Chinese Government which curbed capital flight since January 2017 and with the Labour Government about to ban foreign investment. "In New Zealand, meanwhile, Prime Minister Jacinda Ardern's government plans to revise investment-related legislation to ban purchases of secondhand homes by foreigners. The average price of detached homes in Auckland has soared about 60% over the past four years, due in large part to investments by Chinese immigrants. But such efforts to curtail investment demand could lead to tumbling property prices, leaving owners locked up with large amounts of debt and unable to sell." Now if you bought a house to live in (and not make money off) then just keep paying your mortgage and you'll be sweet. You'll still have your 2017 CV to keep you happy, but know that you won't be able to sell for that high (other commenters say REAs encourage making offers 10% below CV) unless incomes catch up over the next few years or so. Those that would be forced to sell are the overleveraged specuvestors who were in it for a quick buck. I have heard that the Chinese govt might have relaxed the capital flight rule, and they could do even more, they could tighten up again, but to me, that just illustrates why should not let them have so much influence in our market again. There are other areas of concern about the machinations of the govt of China as well, and I would be so bold as to suggest that both Fletchers and Fonterra have been affected by it. The average price of detached homes in Auckland has soared about 60% over the past four years, due in large part to investments by Chinese immigrants. Yes and that has ruined the lives of an increasing majority of non-home owning Aucklanders. It's threatening the viability of Auckland as a city. If all the engineers and scientists leave then what's that going to do to the Auckland economy? Over here in Germany you can get under 2% mortgage interest rates for 15 years. I hear it's been a similar story in China. The government should have moved to protect the upper middle class from rapacious foreign speculation years ago. Even this website itself accepts its comment section does not represent mainstream NZ views. Not sure why youd want websites or comment sections to represent mainstream views though. I would like to know how many people depend on free advice. It's a foolish action to take. You also seem to have no idea what role both ratings agencies played in the GFC. They gave top ratings for fees. Then when everything collapsed they ended up re-rating securities. Due to the banking regulations that changed the risk weightings of all bank assets. So what happened with each downgrade was a mass sell off making everything worse. Don't waste your time TTP .. let them have fun, they have no stake in the game and most are just passing time , pushing the proverbial up hill ....to feel good. Unless things have changed, I'm sure TTP said he/she didn't own a house, so your partner in crime has no stake in the game either. With that in mind, does your statement about pushing the proverbial up hill as regards commentary by people with no stake in the game still stand? Agree - I distinctly remember that TTP introduced himself as a potential home buyer wanting lower house prices so he himself could get on the property ladder. When / how that sentiment has changed, I'm not sure. But TTP is certainly sounding like someone who DOES have stake in the game. It's all in on housing - the next CDO. S&P called that one didn't they? "First, the UK government is all-in on UK residential property. There’s no way it can afford for house prices to correct significantly. If things were to get really get out of hand I could see an end to the Bank of England’s independence and a debasing of the currency before the government would allow property prices to fall. Equally, the UK banking sector is also all-in on UK residential property. The unfortunate side-effect of post-2008 financial regulations has been to concentrate banks’ exposure into UK residential and commercial property. Finally, UK citizens are also all-in on UK residential property. They have little diversification in their savings and have yet to work out how exposed this leaves them. In summary, I think that anybody who thinks that the “wealth” they’ve built up in their property is going to be passed on to their kids is living in cloud-cuckoo land. Either it’ll get eroded away as property values go sideways, or the government is going to make a beeline for an easily raidable tax bucket." The joke of course being that the UK household DTI is only 126% (compared to NZ 167/168%) and that bank lending is heavily regulated in the UK with strict DTI's on home loan plus additional affordability criteria. NZ is in a considerably more vulnerable position, with much more lax bank lending and higher house hold debt levels. Always nice to have some context. Everyone tends to ignore preference even though thats the point of capitalism. A difference between countries is not a problem so long as it represents a genuine preference. In NZ people are more likely to enjoy free entertainment and dedicate more of their income to big houses. But NZers spend 24% of leisure visiting or entertaining friends while the UK only spends 2% of its leisure doing so. Conversely in the UK they spend 10% of their leisure time attending events while in NZ its only 2%. When you look at the overall debt to disposable income ratio you'l see NZ and the UK are surprisingly similar given how much larger NZ homes are, indeed the core difference is the different preferences of the two populations. Equal with what....the current stagnant capital gain? fI we continue with no gains, then why would ma and pa carry on toppng up the flat liing rental? Particularly when soon they can no longer offset rental losses (never mind all the other new compliance costs on landlords Jacinda dear is bringing in)? So dah... the horse has bolted....'all things being equal' is all ready a distant memory. Anything that discourages "casual" landlords who are in the game for short term capital gain is probably a good thing IMHO. I think the all else being equal is that there is not an unforeseen dramatic event, i.e. if tomorrow, the next day and so on is the same as it was today then expect things to continue without drama. Not too many people saw the GFC coming and even those that were convinced it was going to crash and had high stakes in that it would were out by over a year.